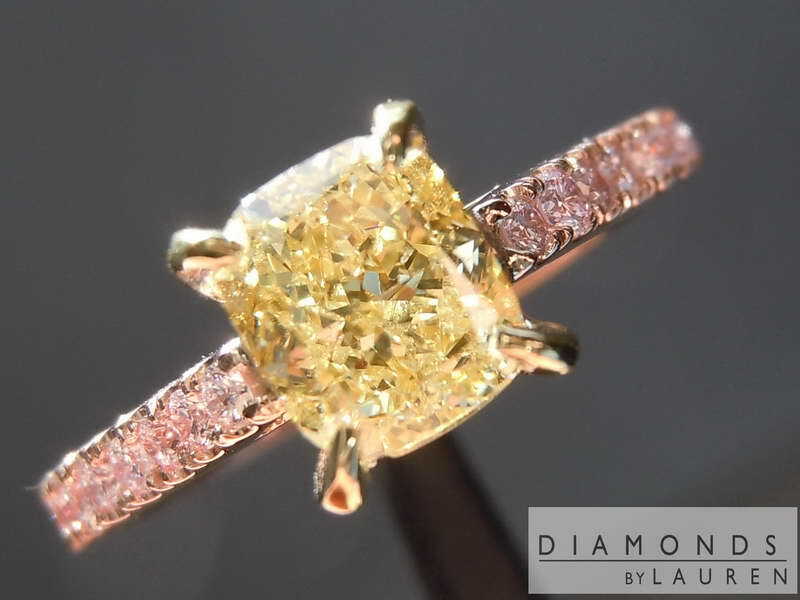 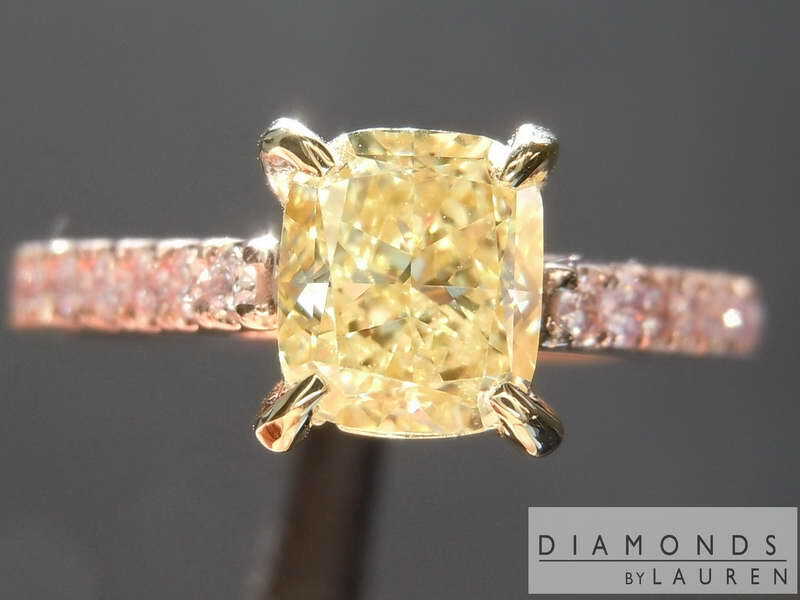 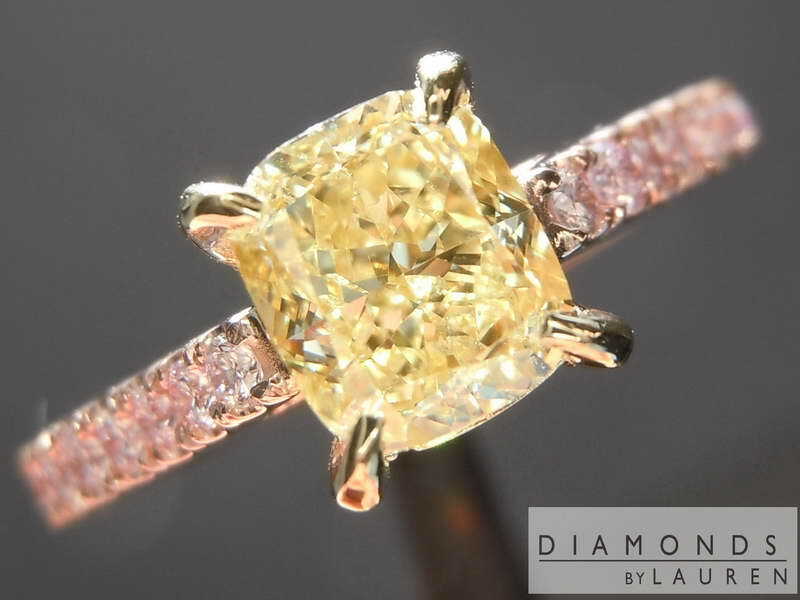 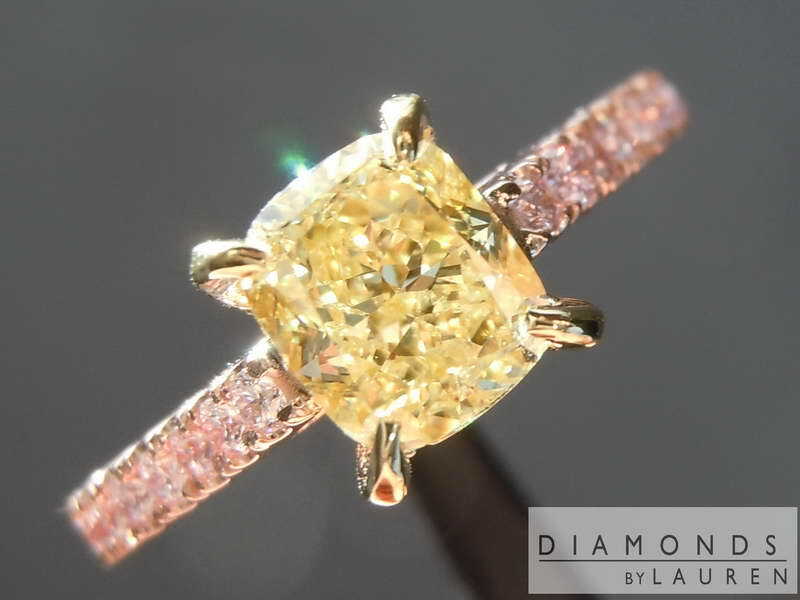 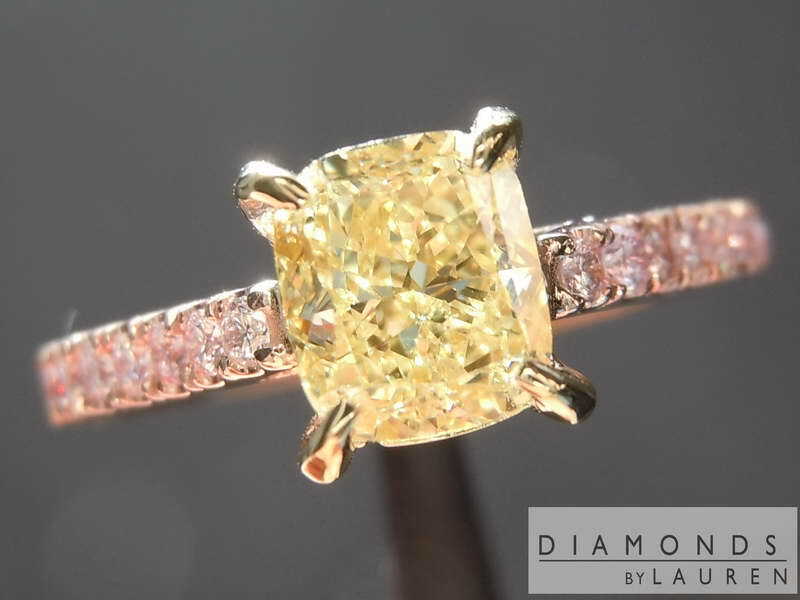 Here's a gorgous handmade Pink Lemonade™ Diamond Ring. 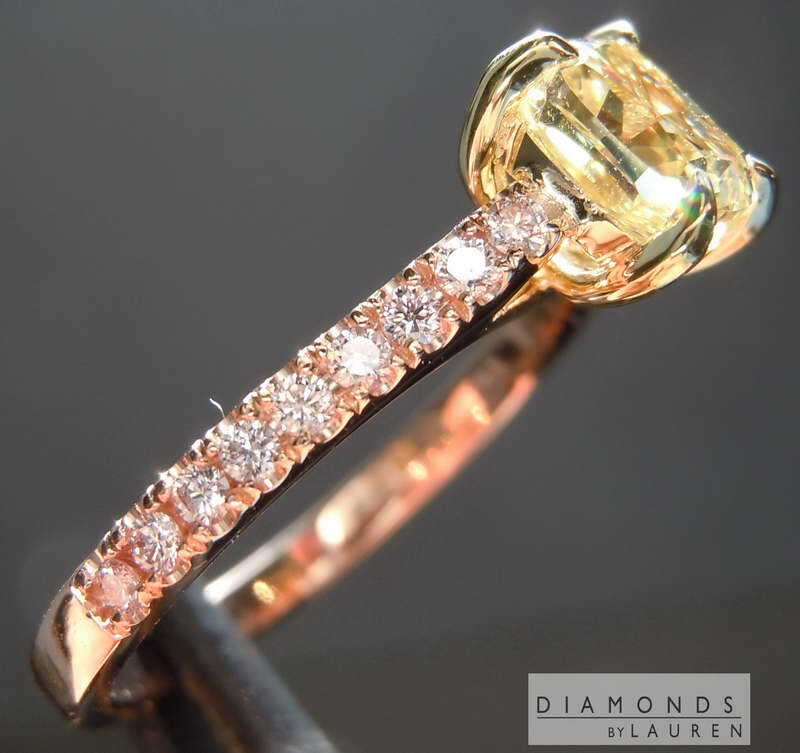 We have been combining these colors for many years, so we have a lot of experience in the combination. 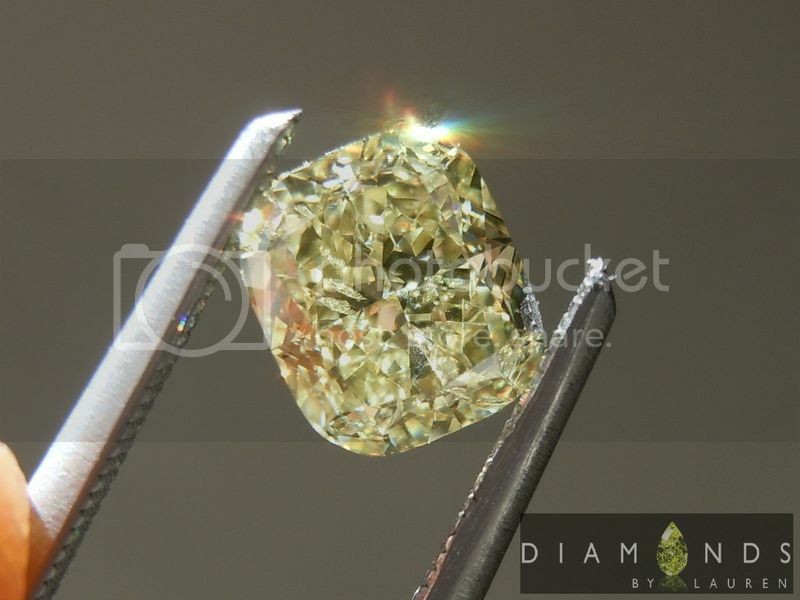 I understand that it is difficult for consumers to purchase an SI2 diamond on the internet. 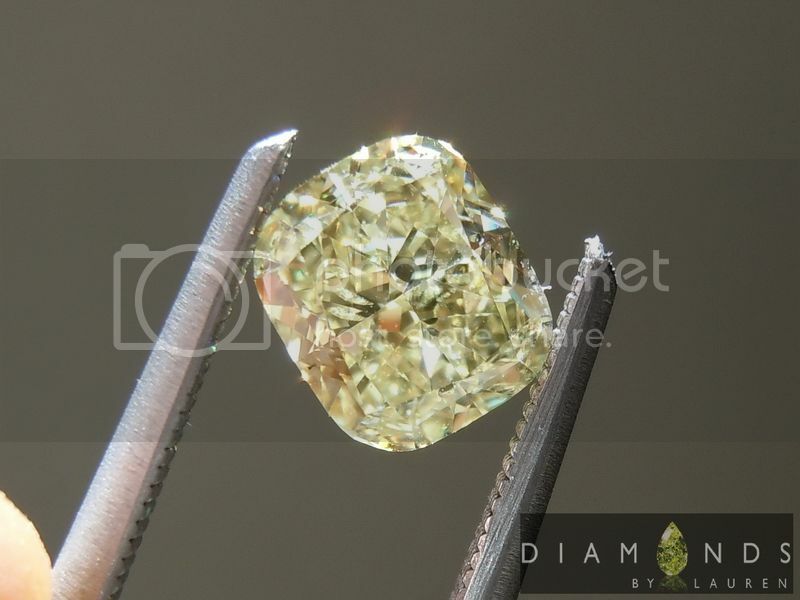 On pretty much every sit besides ours, the diamonds are not located where the internet company is, so they have no idea what the SI2 imperfections are, or how they look. 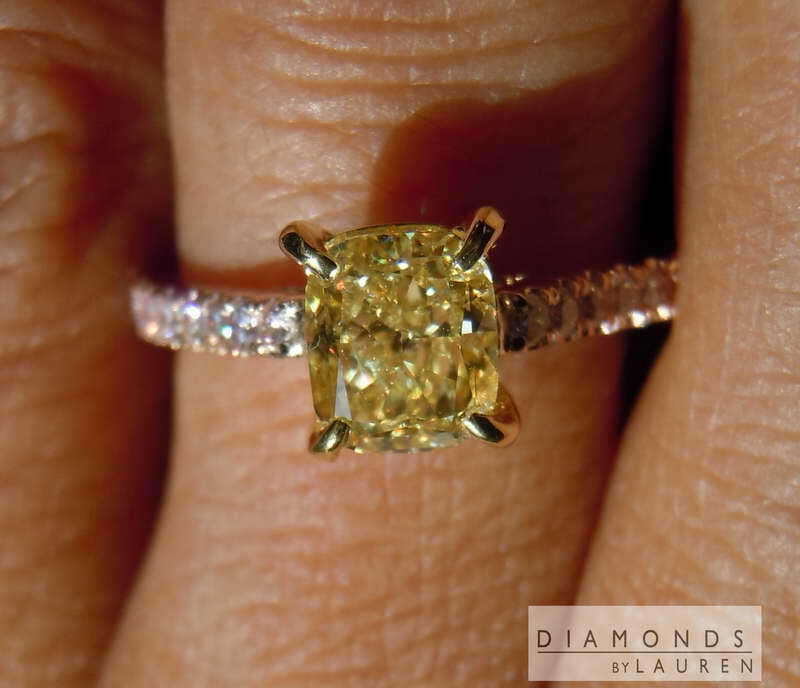 Some SI2's are amazing, others are cruddy. 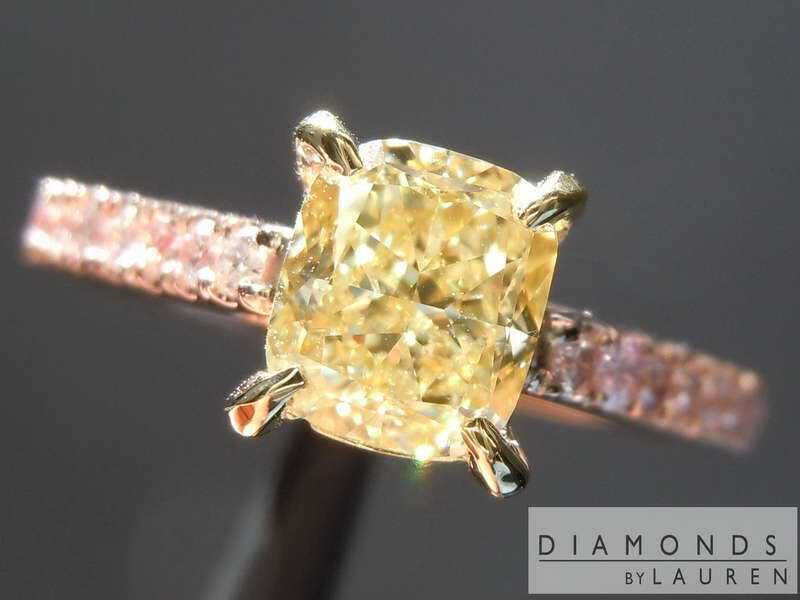 This is an amazing stone - regardless of clarity. 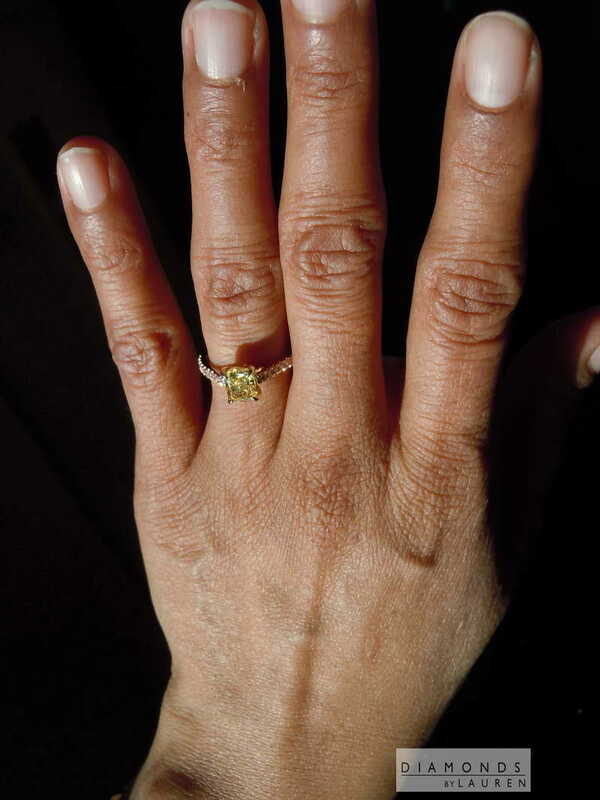 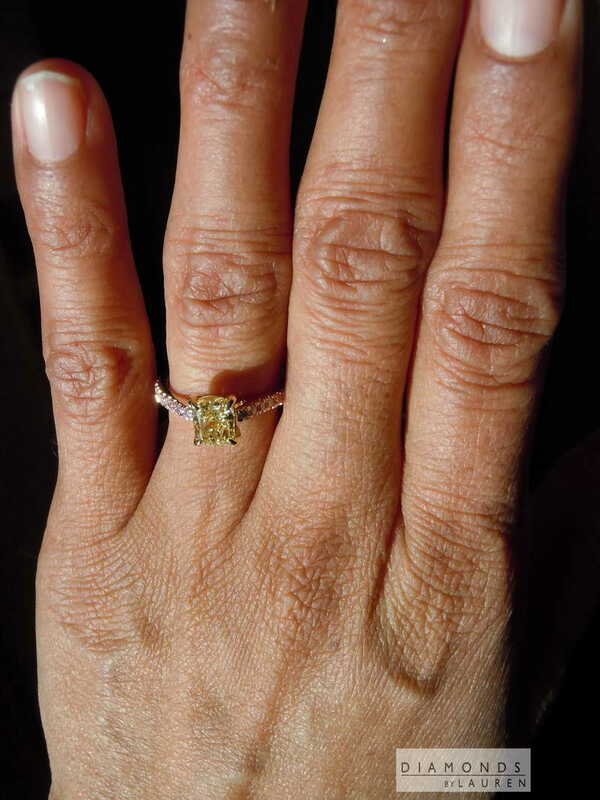 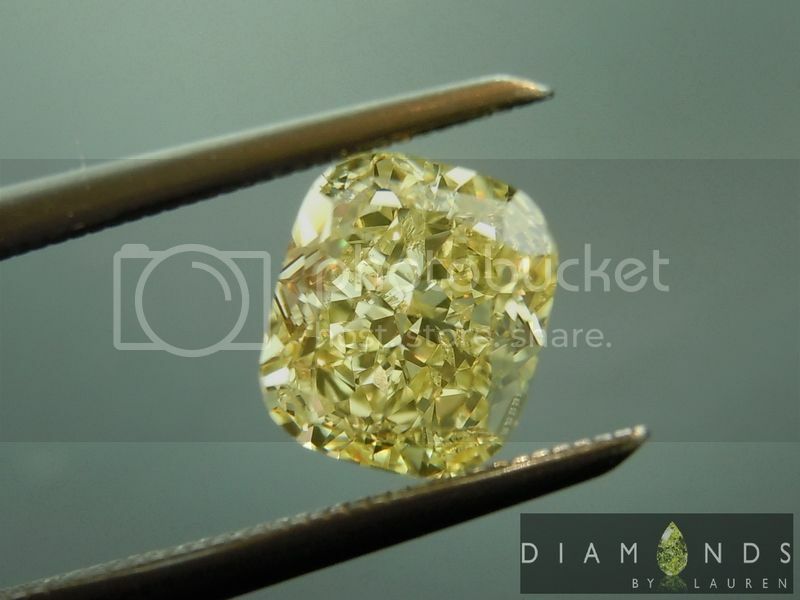 The color is exceptionally strong for a GIA Fancy Yellow- the stone is very close to an Intense Yellow. 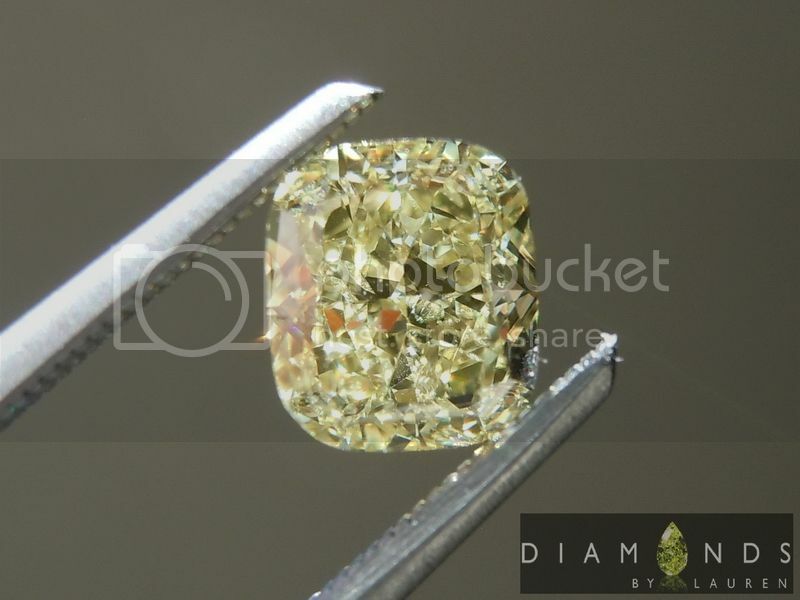 I love the cut as well - lovely cushion shape with a remarkable, even brilliance. 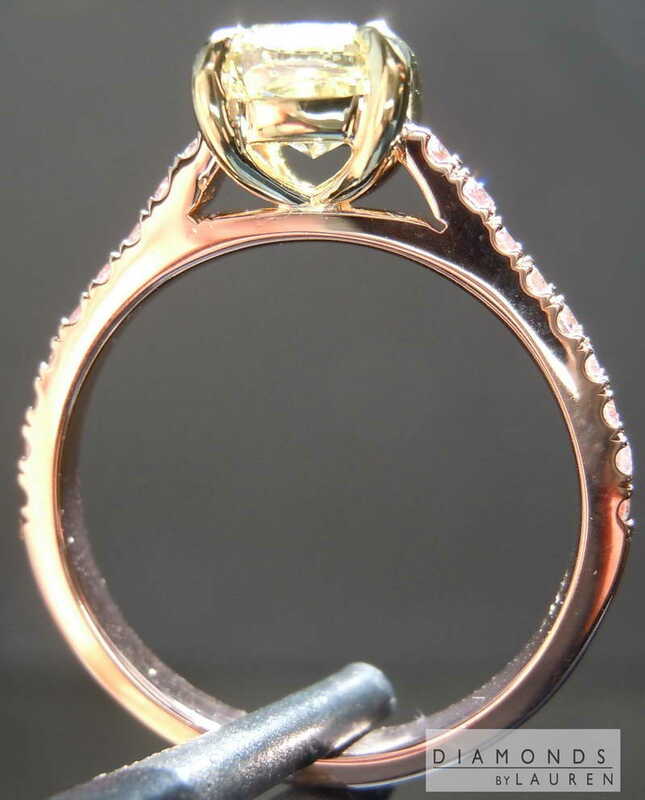 This is a great stone for this ring.